AIDS is the stage of HIV infection, when it passes into disease. To determine the presence or absence of HIV infection (human immunodeficiency virus) required several milliliters of blood from a vein for analysis. There are some features of blood donation for this method of research. Decide which medical institution you want to donate blood for analysis. This can be as a municipal hospital in which the study is usually done free of charge and the private institution providing paid services. The advantage of private clinics is that to donate blood for HIV they can be anonymous. You will be given the number, which assigns the vial of your blood. Subsequently, calling him, you will be able to know the result. If you opted for a private institution, read the reviews about it. Find out whether the clinic's license and certificate. Blood enzyme-linked immunosorbent assay (ELISA) donate 2 weeks after the alleged infection. This time is necessary for the formation of antibodies to the virus, as research method based on their discovery. The most reliable results you will get after 3 months after the presumed date of infection. If you can not wait a long time, take the test polymerase chain reaction (PCR), it is more reliable in the early stages of infection,and to donate blood for analysis is possible in 10 days. The day of the test do not eat Breakfast and don't take drugs. This is a standard rule of blood donation is relevant in the case of the analysis on a HIV. Come to the hospital in the morning, since the fence materials is usually done before lunch, and after lunch the study. 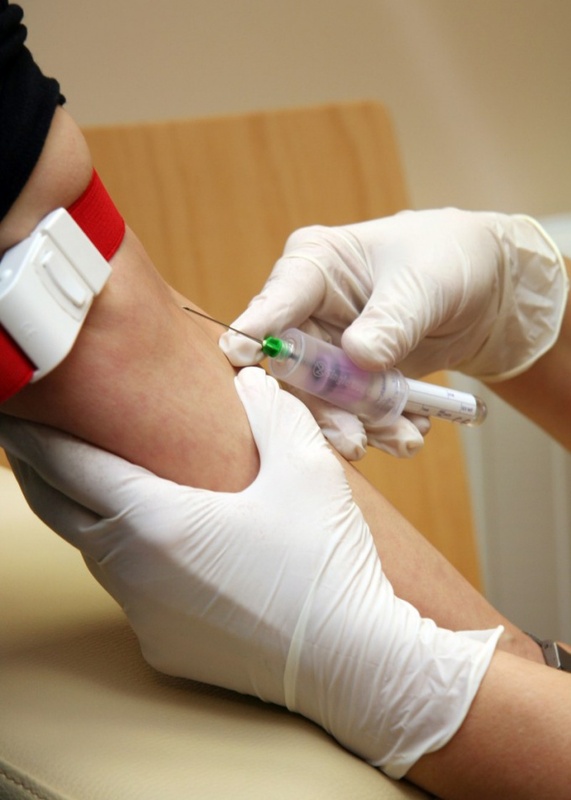 Clothing pick up with the expectation that you will have to roll up sleeve for blood sampling from the cubital vein. During blood sampling, if you feel dizzy, try not to look at the process and look the other way. After researching keep your hand bent at the elbow, pressed to the puncture site of the vein with a cotton swab moistened with alcohol. Find out how long the result will be known. Usually this period is 1-14 days. In that case, if you gave blood for ELISA and got negative result, but doubts still remain, give blood again after 3 months or go through PCR. In the case of a positive ELISA will also do PCR for HIV, because there is a 1% false positive results for immunoassay analysis.